Fit In No Time is owned and run by me, Scott Bugden. In 2013 I set up the business to offer a range of services including one-to-one coaching, group and individual skills coaching sessions and led MTB rides. Previously I had spent around 8 years coaching full time for British Cycling and Welsh Cycling, over 20 years competing Nationally and Internationally and as long as I can remember involved in cycling. Please see individual pages for more information on the different services. I coach because I love to see riders develop, reach their goals and fulfil their potential. Every training plan I write, every session that I run and every ride that I lead is designed to suit the individual or group that it is aimed at-there is no “one-size fits all” here. I also aim to work with riders on all aspects of their performance, not just fitness, working with you to make you better prepared in every way. Many coaches will limit the contact time that individual riders can have each day, week or month. While I understand the reasons behind that idea, in my opinion that doesn’t generally make for a good, or successful, coaching relationship. I encourage any riders that I coach to contact me whenever they feel they need to, 24 hrs a day. I don’t promise I will answer immediately but I do promise to get back to them as soon as I can. I have spent over 20 years competing on Track, Road, Mountain Bike (MTB) and Cyclo-Cross so have experience of most disciplines. My best results came on the Track where I had several top 5 finishes in UK National Championships, in the Madison and behind the Derny. I was also South East National Pursuit Champion and finished 10th in the National Championships in the same event. In 2001 I graduated from The University of Birmingham with a BSc in Sport and Exercise Sciences. 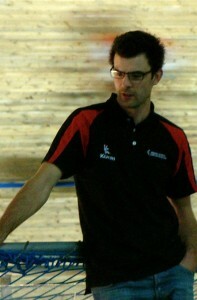 While I was in Birmingham I also completed a British Cycling Club Coach Award and then started coaching shortly after. In 2003 I was offered the opportunity of working with the British Cycling Talent Team as an Academy Coach. This gave me a fantastic opportunity to work with a group of talented young riders, many of who have gone on to become Olympic and World Champions or professional road riders. In 2006, I started working full time for British Cycling as a Go-Ride Development Coach. I spent the next three years visiting schools, running cycling activities during school holidays and working with Go-Ride clubs and other club coaches to help them develop. In 2009, I moved to Wales to take up a job as MTB Performance Development Coach for Welsh Cycling. I spent the next 4 years travelling across Wales, working with a great bunch of clubs, coaches and riders from 10 year old beginners to some of the best Elite riders in the UK. I also had the opportunity to support Great Britain squads and other British riders at UCI MTB World Cups and other International races as well as taking part in one of Sports Coach UK’s flagship coach development schemes Coach Aspire. In 2013 I moved back to the South East and set up Fit In No Time with the aim of using the experience and knowledge that I have gained over the last 12 years of coaching to offer a top quality service open to everyone. Towards the end of 2015 I was offered, and accepted, the position of Track Coach at the World Cycling Centre in Aigle, Switzerland. As much as I enjoyed every minute of working for myself, the opportunity to work with riders from around the world, who I could potentially make a real difference to, along with the opportunity to challenge myself in order to improve as a coach was too good to say no to. I moved to Switzerland in December 2015 and have lived there ever since. I left the World Cycling Centre in March 2018 and took on the role of Women’s Track Coach for Swiss Cycling. As with most federations the big goal is the next Olympic Games in Tokyo 2020 where we are aiming to qualify a team for the first ever Women’s Olympic Madison and a rider for the Omnium. I am always interested in new opportunities of all sorts so please get in touch if you think that I can help. Lastly, I try to use this site as a resource for anyone interested in cycling, coaching or teaching by posting about my thoughts, experiences and links to anything that I find interesting. Please get in touch and let me know what you think. Three good reasons to get off your bike!